It is often assumed that the law in China, as in many other developing countries, is weak or unimportant. 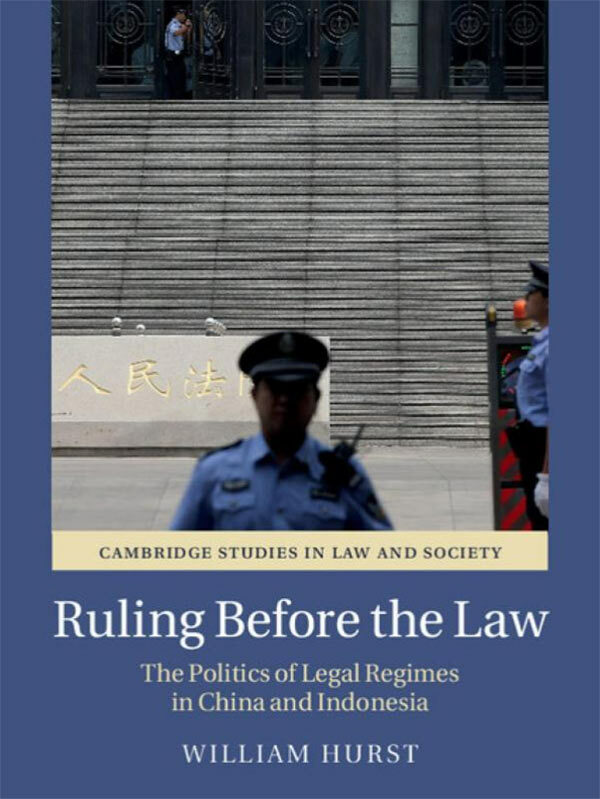 In his new book Ruling Before the Law: The Politics of Legal Regimes in China and Indonesia (Cambridge University Press, 2018), William Hurst offers a compelling comparative study of legal regimes in China and Indonesia to dispel this misconception. What prompted you to compare two countries as diverse as China and Indonesia? William Hurst: There were three main reasons why I opted to compare China and Indonesia. First, I wanted to engage in the type of ‘apples comparison’ I have called for in the past (Hurst 2018), looking at China side-by-side with another large and complex country built on equally extensive field research in both places. Second, China and Indonesia are about as close to being ‘most different systems’ as you can get while still being broadly comparable. Maoist China was a staunchly leftist revolutionary regime, whereas Indonesia under Suharto’s New Order was a paradigmatic right-wing military dictatorship. China has a strong state, but Indonesian state capacity has always been weak. Everyone in Indonesia must officially belong to a religion, while Chinese society is one of the least formally religious in the world. Yet both countries emerged in their present forms within months of each other in 1949, their per capita incomes tracked each other reasonably closely up until about 1998, and both have legal systems rooted in what we could term broadly the Civil Law tradition. This makes them ripe for what in the book I call a ‘Millian Two-Step’ comparative analysis, deploying a most-similar systems design subnationally within each country and a most-different systems design to compare between them. Third and finally, these are the two countries I was equipped to study and they are also two intrinsically important places—the world’s largest and fourth largest countries by population, the most globally influential authoritarian regime and the largest and most important new democracy, the most significant remaining Communist state and by far the most populous majority-Muslim society. By comparing both subnationally and cross-nationally in this way, I am able to elucidate distinct legal regimes in each country at specific points in time and at work in particular areas of law. In both China and Indonesia, law is often assumed to be weak. To what extent have you found this to be true? WH: The alleged weakness of law in both China and Indonesia has been much exaggerated. Many observers have looked for law to play certain political and social roles and to work through patterns and mechanisms familiar to them from very different contexts. Law in Indonesia and China is powerful and vitally important, but rarely does it play the exact roles foreign scholars—or even some insider practitioners—might expect (or assume it ought to). Looking at legal regimes on their own terms, we can see better how law actually works and the influence it has on society and politics. Contrary to much of the existing scholarship, you argue that traditional rule of law paradigms make for blunt tools when trying to make sense of the development trajectories of these two countries. Why is that so? WH: Rule of law as traditionally conceived—especially in Anglo-American scholarship since the early twentieth century—is exactly the kind of narrow-gauge portal that constrains what observers see of the law’s operation within its own institutions, or of its impacts on other aspects of politics and society. When we adopt traditional rule of law paradigms we put on blinders that severely restrict our field of vision. Only after we take these off can we begin to look through better-attuned lenses to observe the complete picture of law and politics with greater acuity and parse its dynamics more effectively. I argue in the book that legal regimes offer a better perspective for analysing specific areas of law during various time periods in both China and Indonesia since 1949. Looking just at China, we can see what I term a ‘mobilisational’ legal regime in play during the Maoist era, with a specific emphasis on criminal law. During the Reform era, China has developed a hybrid legal regime that combines ‘rule by law’ in the civil arena with what I call a ‘neotraditional’ legal regime in criminal law. 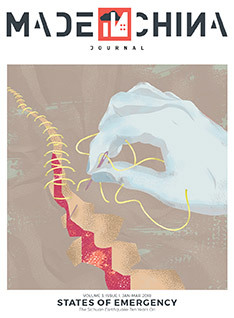 Building markets and growing the economy requires predictable adjudication and resolution of civil disputes, while persistent and pervasive intervention by the Chinese Communist Party (CCP) and non-legal political entities into the criminal process facilitates the maintenance of the Party’s authoritarian rule. This hybrid, incidentally, is the mirror image of that which has developed in Indonesia since Reformasi, where democratisation has forced state and powerful social actors to refrain from direct or excessive intervention into crime and punishment, even as they remain unconstrained from interfering pervasively into civil dispute resolution. Much has changed in both China and Indonesia in the eleven years since you started your research. In the period after you completed the research for this book, have you noticed any significant changes in the two countries’ legal regimes as well? WH: Sure. There are significant changes in politics and law all the time, and both countries have certainly seen specific aspects of their legal regimes evolve since 2006. Even since you sent me these questions, the CCP has called for amending China’s Constitution in important ways that could, for example, enable Xi Jinping to remain in office indefinitely. I have tried to address as much of this change as possible, keeping the book as current as I could up through to at least early 2017. This was a challenge, especially since the scope of my research begins essentially with 1949, but I am reasonably confident that neither country has had its mix of legal regimes set onto a fundamentally new trajectory since I began my research. Of course, that does not preclude change in the future. Indeed, though both hybrids of neo-traditionalism and rule by law appear remarkably stable, I would expect that truly significant ruptures or redirections of politics could certainly occur in either China or Indonesia at some point in the decades ahead and that these could well have similarly watershed implications for their legal regimes.